Wild Flag: Making Chaos Useful Singer-guitarist Carrie Brownstein says forming Wild Flag wasn't as simple as bringing together a group of talented musicians. The right chemistry was crucial. 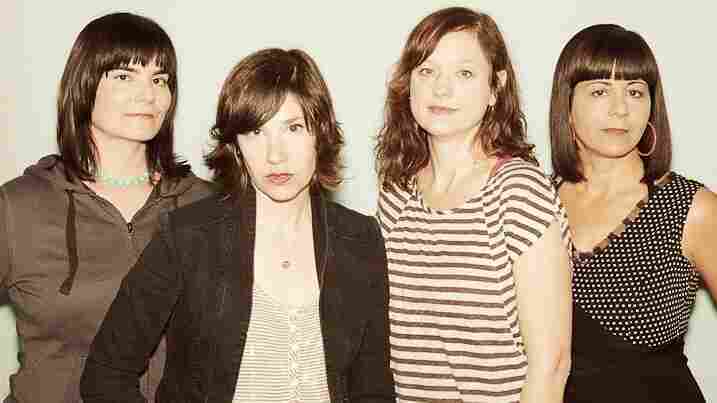 Carrie Brownstein helped start Sleater-Kinney, the celebrated punk trio, when she was still in college. That band split in 2006, and though Brownstein kept busy — as a blogger and commentator for NPR Music, among other things — she says that by the end of 2010, she was feeling antsy. "You think that tradition will grab hold of you at some point, and it just didn't. I see my friends going off and claiming these lives that we all thought we would have," she tells Guy Raz, host of NPR's weekends on All Things Considered. "I haven't settled down — I'm so much more restless than I've ever been. I find stillness to be very unsettling. So I think a lot of the songs on this record are grappling with that chaos and trying to figure out how to make it useful and powerful." Wild Flag, released earlier this month, is the debut album from Brownstein's newly formed band of the same name. The lineup includes her old Sleater-Kinney bandmate Janet Weiss, as well as longtime friends and collaborators Mary Timony and Rebecca Cole. Brownstein says that, though the members all respected each other as musicians, they entered their new partnership with extreme caution. "Music is not math. You can't just put all these good elements together," she says. "You realize it's chemistry: It's about this coalescence of disparate parts that makes something greater."